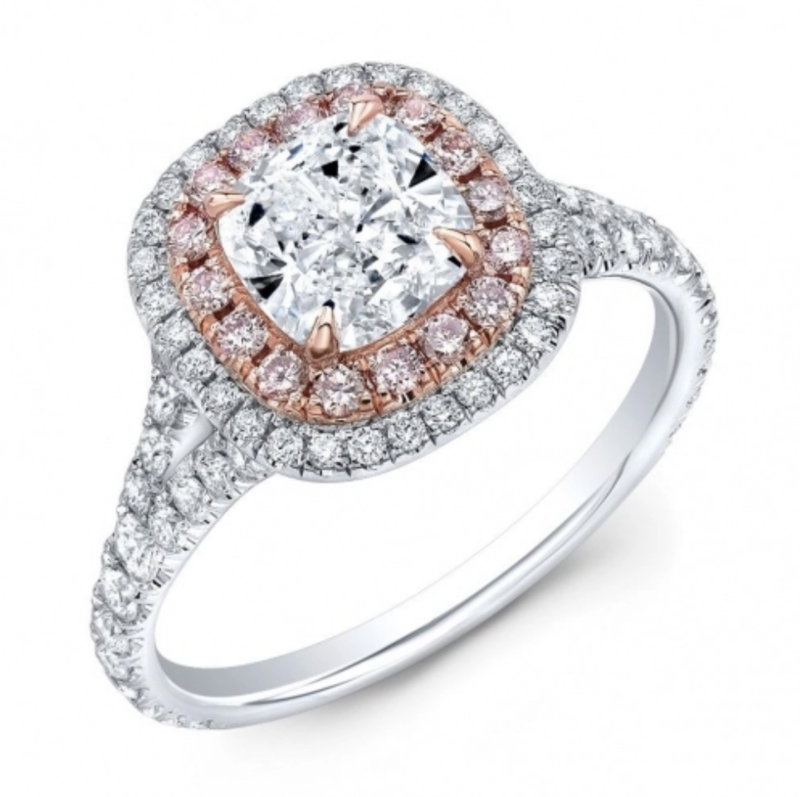 By now, you’ve probably seen your fair share of new and nontraditional engagement ring styles. 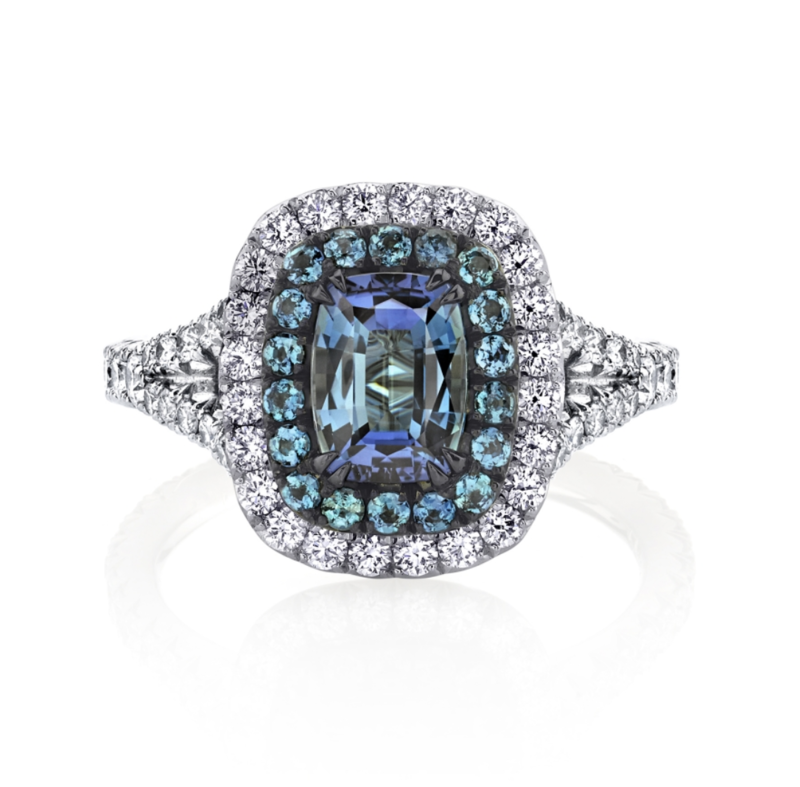 From aquamarine center stones to downright unconventional styles, it’s hard to choose a favorite, especially when there are traditional styles to think about, too. All things considered, when a traditional style gets a new update, it’s worth taking a second look. 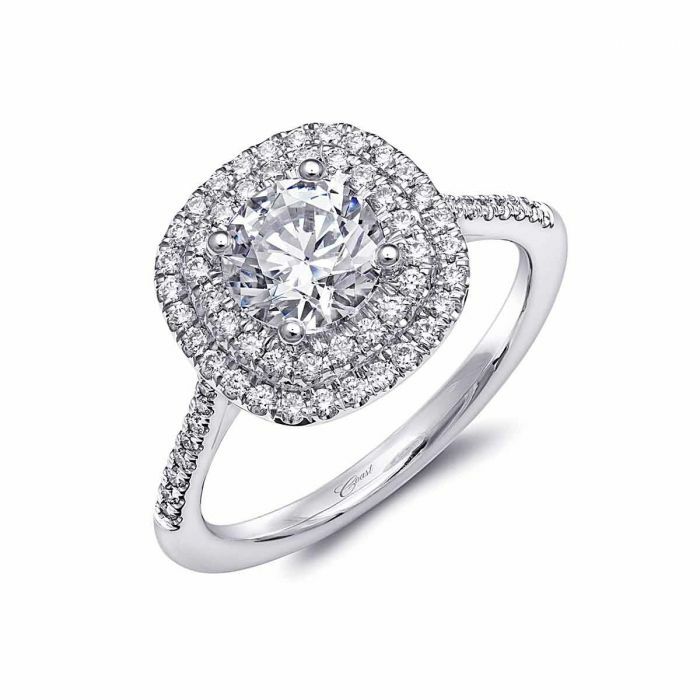 While halo engagement rings haven’t been around as long as, say, a solitaire diamond, they’ve become a modern classic. 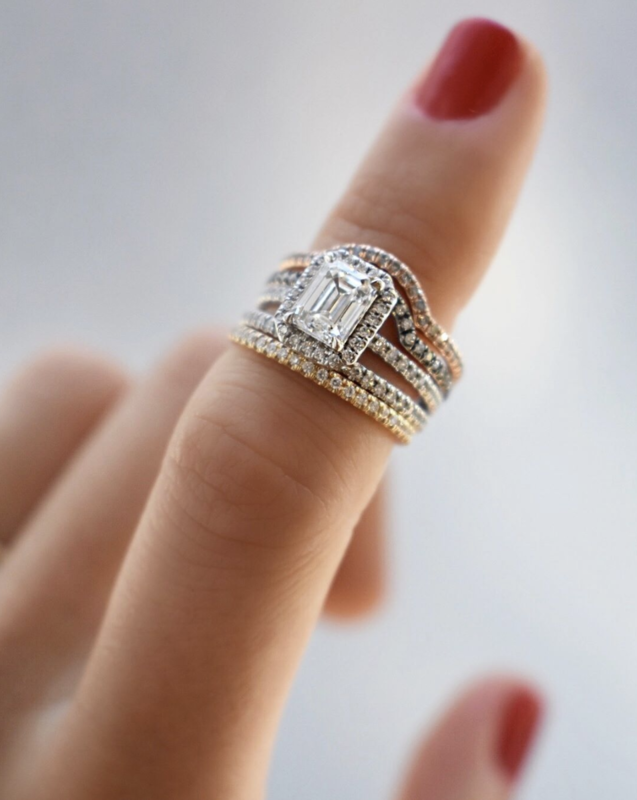 Now, in the form of double-halo engagement rings, the style has taken on new life for 2019. 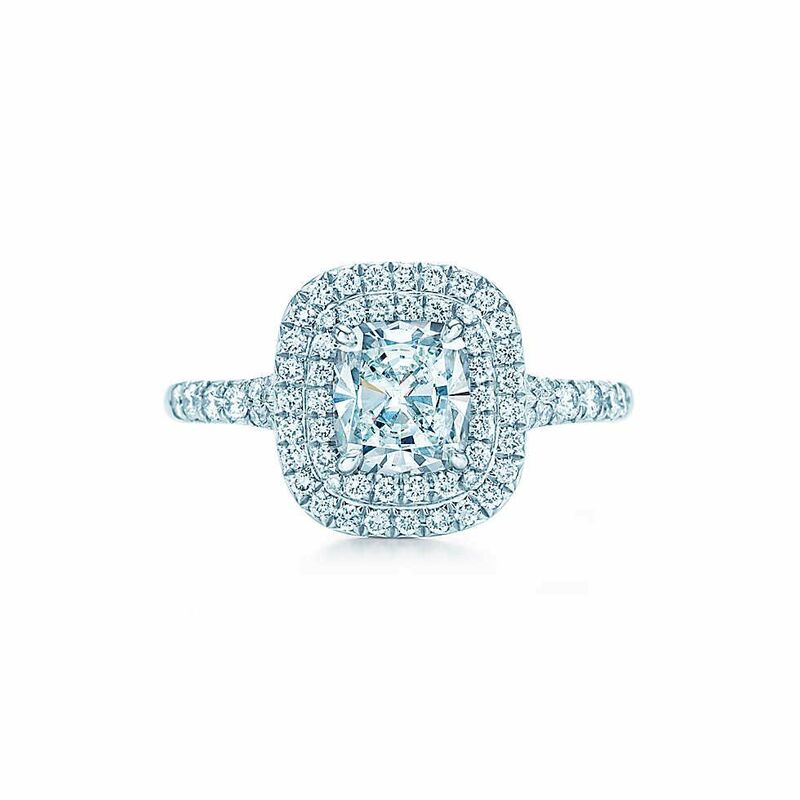 If you were already a fan of the halo design before, which is a circle of smaller diamonds surrounding the center stone, you’re going to obsess over the latest iteration of the trend. 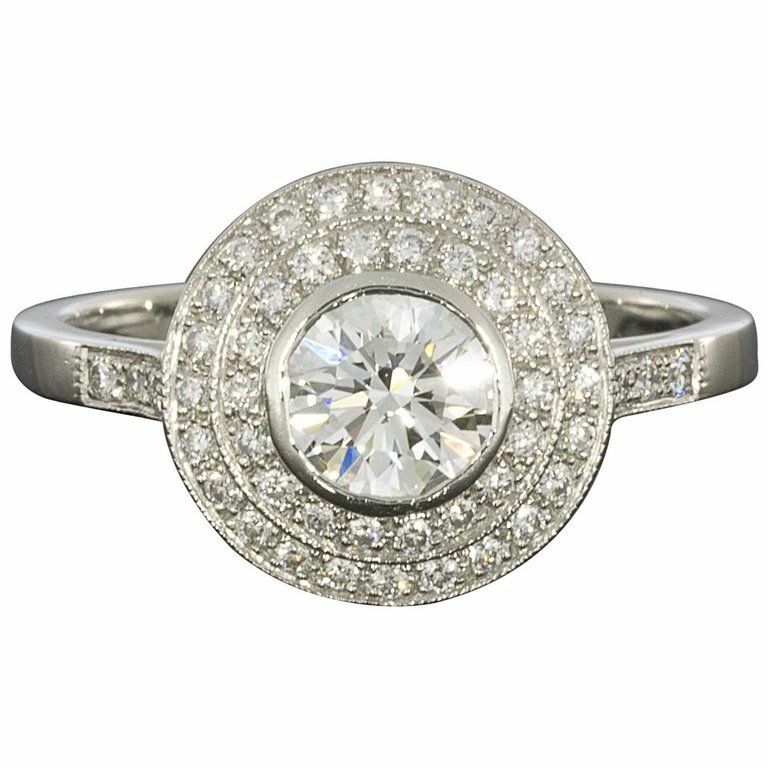 Double halo rings, a trend that features not one but two circles of diamonds around the main stone, carry a vintage feel but still remain modern. Whether you’re looking to drop a few hints to your S.O. 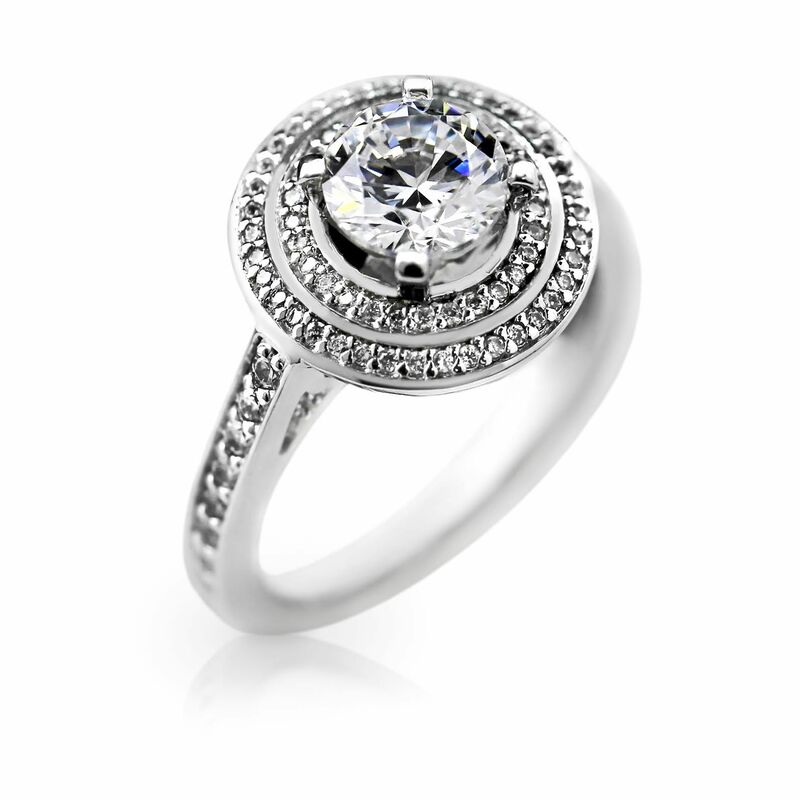 or want to add some new ideas to that Pinterest board, scroll down to shop eye-catching double-halo rings below. 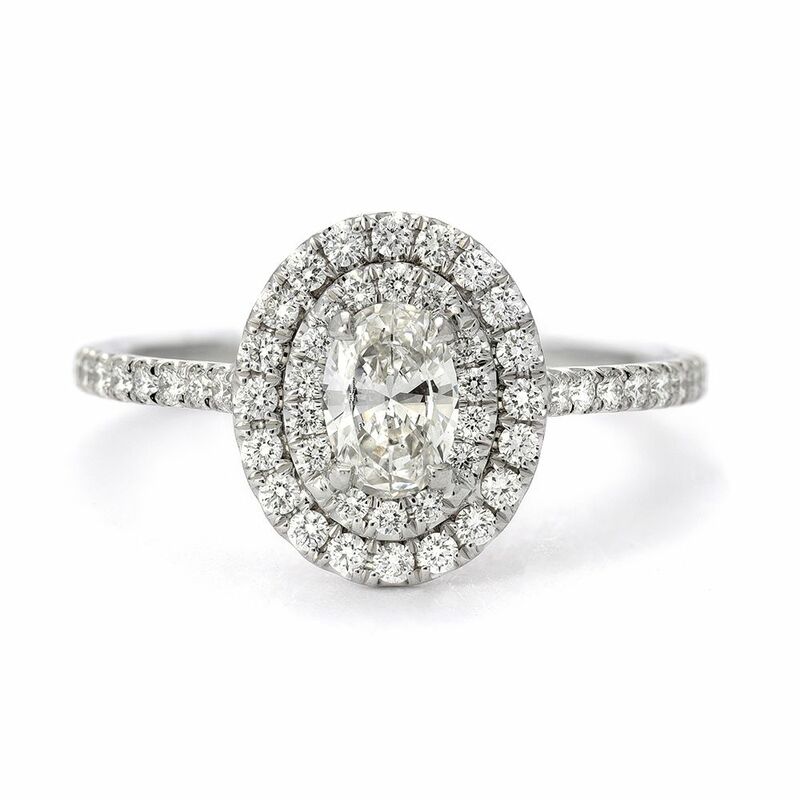 The double halo detail this absolutely radiant. 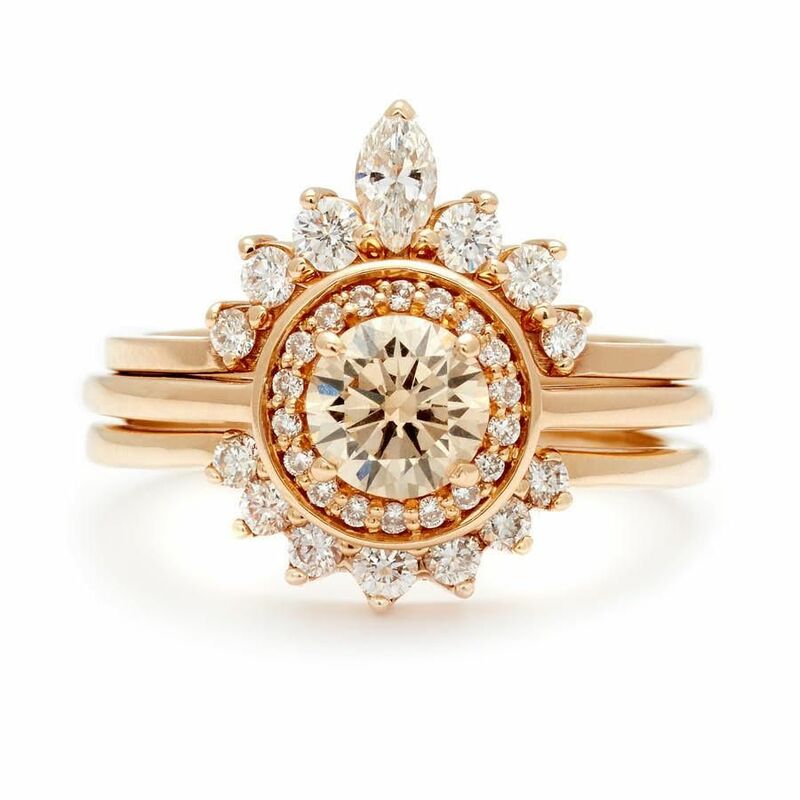 This ring features ethically sourced diamonds. Classic halo style, but even better. The second halo on this goes around the setting, giving you more dimension. 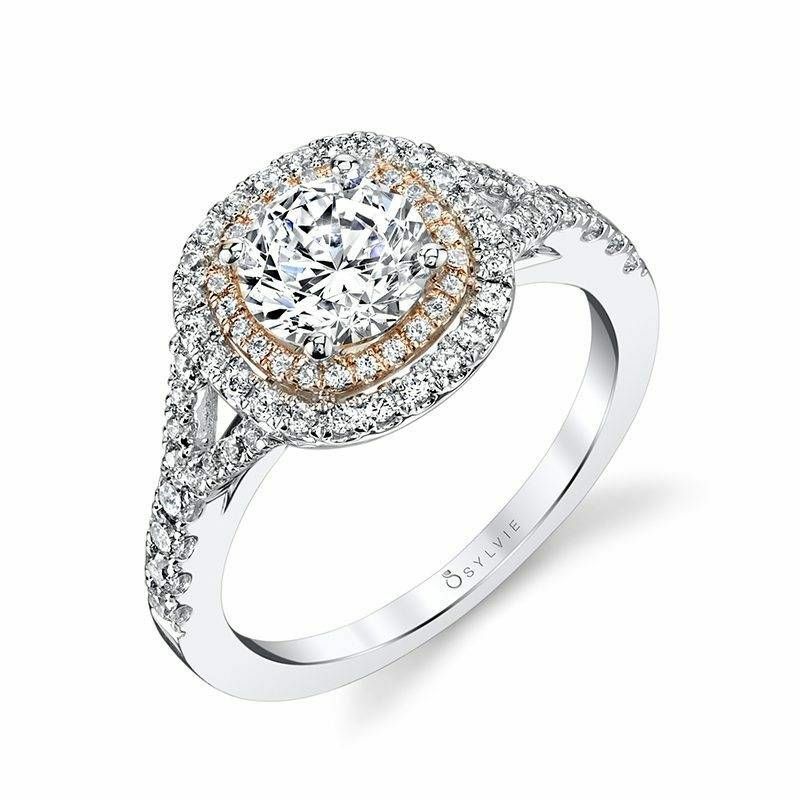 The oval shape is such a classic. 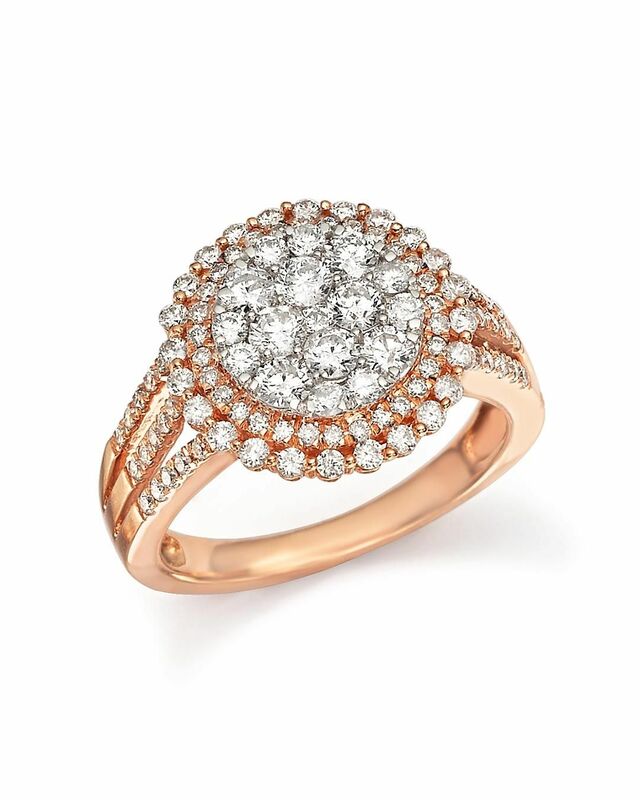 The rose gold gives this ring a nice pop of color. Price upon request. 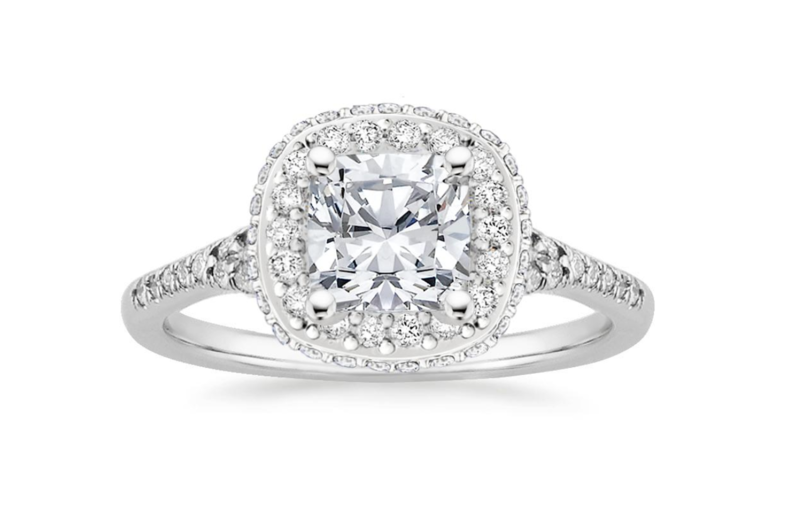 Who said you need a diamond for your center stone? 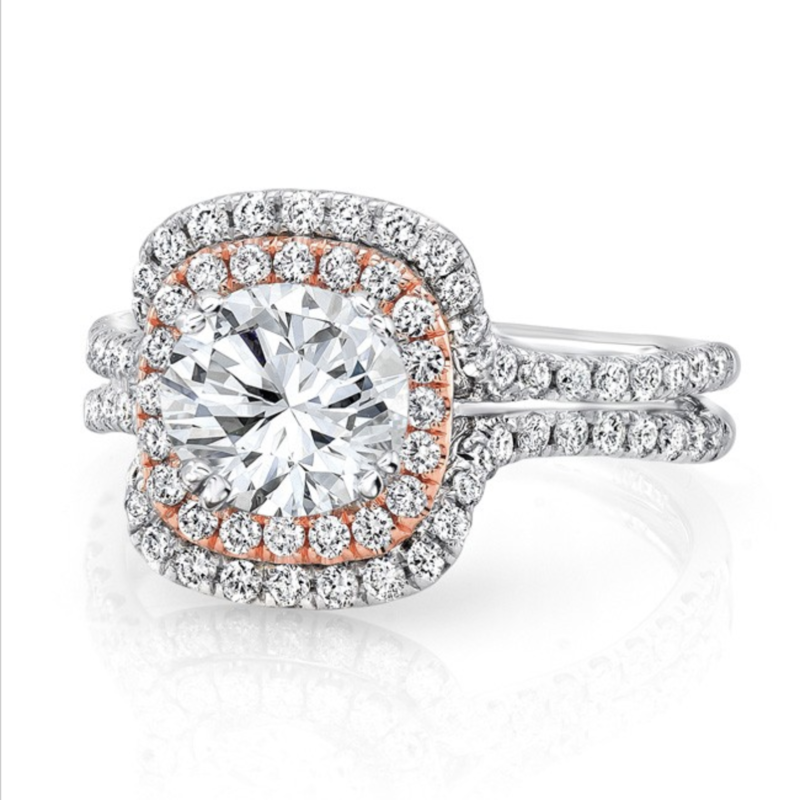 With the cluster center, this is definitely not your average engagement ring. To put it simply, this setting is stunning. 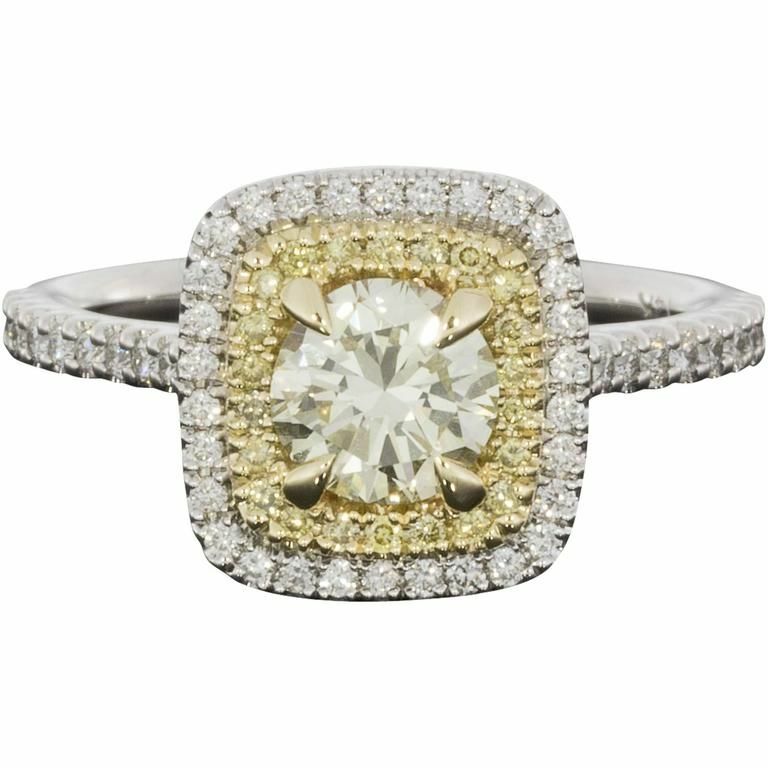 We’ll always love a yellow diamond. Price upon request. 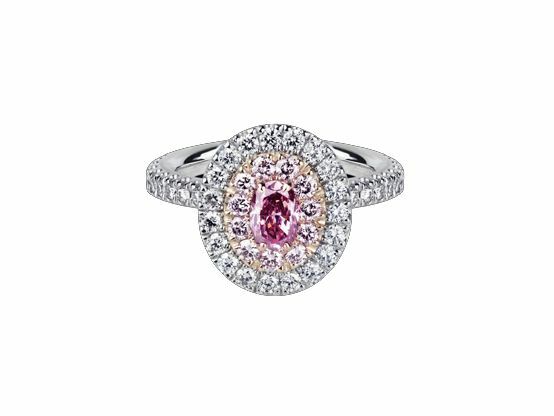 Pink diamond? Yes, please. 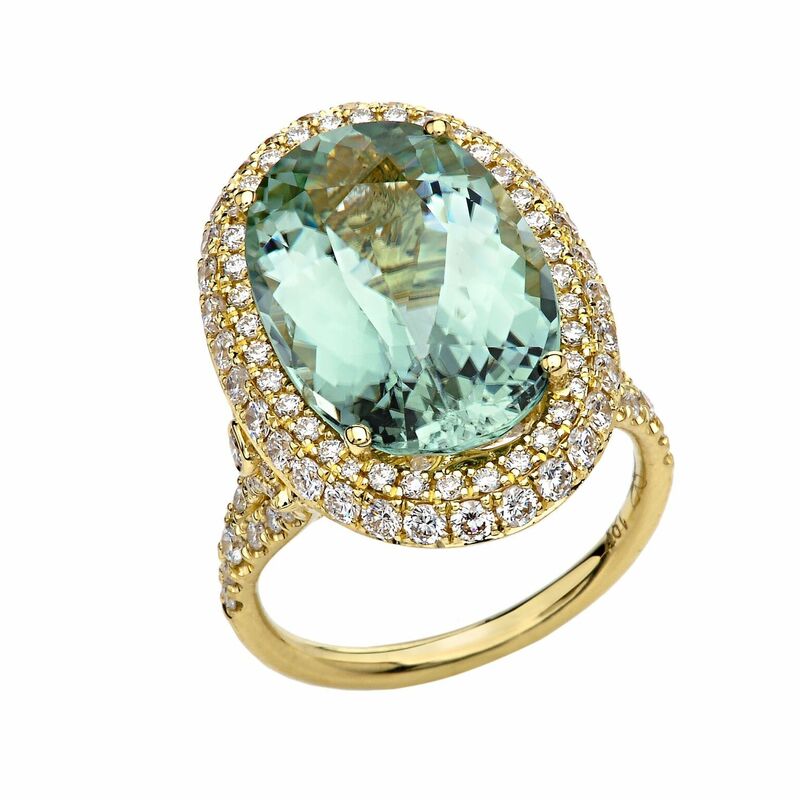 We are definitely here for the aquamarine trend. This has a slight vintage feel to it. A touch of color makes this so much more intriguing. 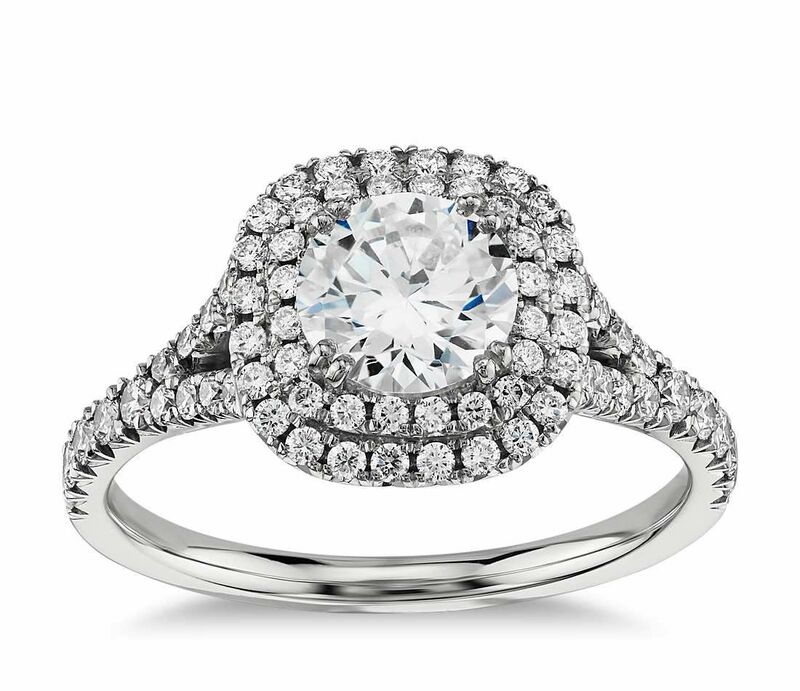 This sparkling ring will make a statement. Wear this all as one ring, or as separate pieces. 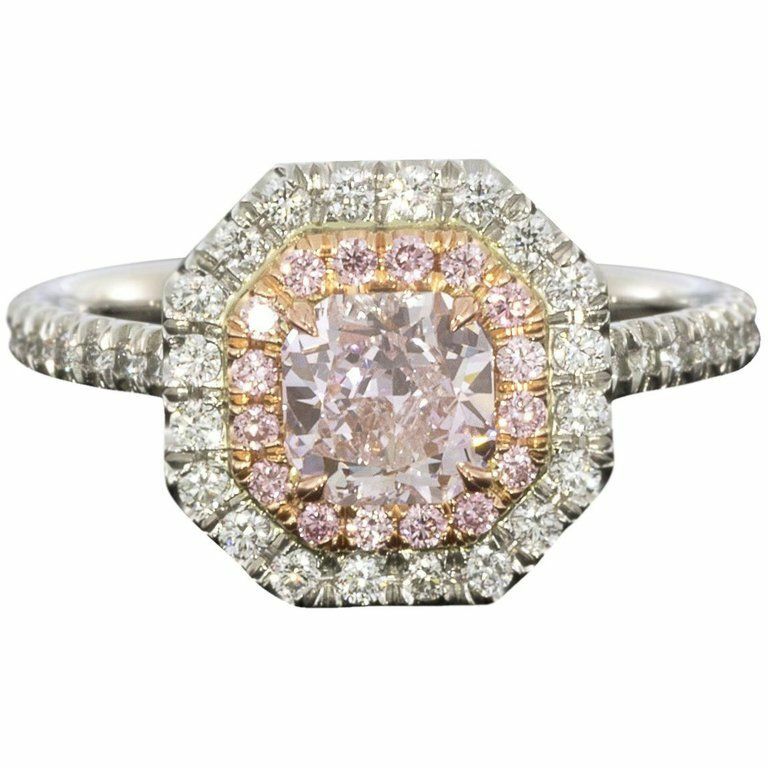 For the woman who wants a vintage ring. 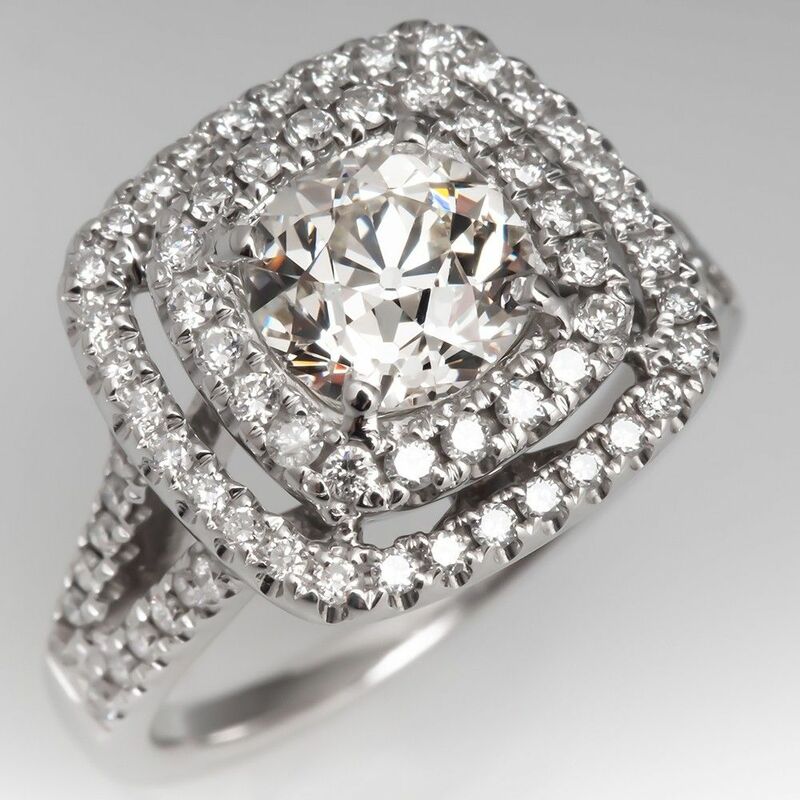 You won’t be able to stop staring at this octagonal ring. 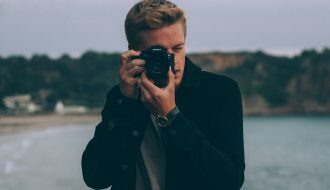 If you love classic styles, check out the traditional style we’re seeing everywhere right now.